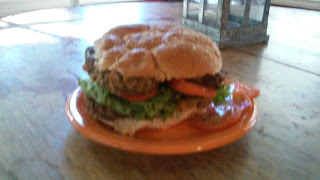 I try to waste as little as possible in my kitchen and one way I do that is by turning stale or old bread and buns into bread crumbs. When I find that leftover package of hot dog buns at the back of my fridge, or that last end of a loaf that has gotten hard corners, or I have a homemade loaf that is a dud, I just throw it in the freezer in a plastic bag until I am ready to make breadcrumbs. 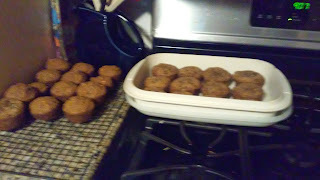 The freezing helps dry them out even more and keeps them safe from molding until I need breadcrumbs in a recipe. If you make them from fresh bread, you will need to toast them in a toaster or dry them out on a baking sheet in the oven. I absolutely LOVE Carolyn's recipe for Baked Eggplant Parmesan. I spotted a grilled eggplant sandwich online when looking for other ideas for what to do with eggplant when it gets to be such a good deal and had this idea for a revamped BLT. I fed it to my husband and he scarfed it up and then said, "That was good. What was it?" You could very easily make a batch of the cutlets one night and use half as Eggplant Parmesan and then the other half in these tasty sandwiches. They reheat nicely in a skillet. 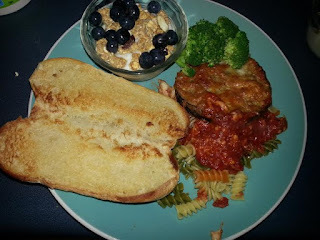 Very affordable recipes when eggplant gets down to $.99 at ALDI! 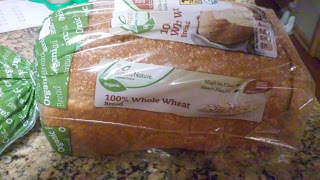 New Organic Whole Wheat Bread @ ALDI! 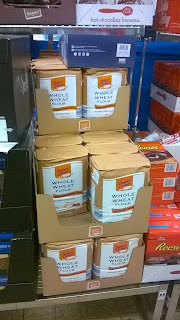 I think ALDI really is reading the blog because I just spotted and purchased whole wheat organic bread. $3.29 for a 1 lb. loaf. The ingredient list is a little long and the bread is fairly dense compared to their other whole wheat, but overall ingredients look a lot "cleaner" than your typical store loaf. I know I am a little odd to be as excited as I am about lentils, but going in to soup season, these will be awesome to have around. You may want to beat me to the store because I will be buying a ton! This recipe is for all those Mama's who fall into the dinner slump that usually includes spaghetti once a week. I gave this a shot last night and my family loved it. My husband also compared it to lasagna which I hate to cook because it's so tedious. We also had plenty of left overs that I froze in individual containers for our lunches this week, which is a nice change from the typical frozen meals! 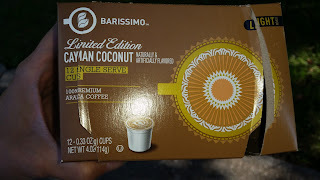 So ALDI went and messed with one of my favorite items in the store. I had previously posted about how much I loved the $4.99 packs of diapers and how the price per diaper beat out every house diaper around. 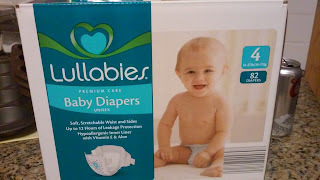 ALDI recently switched the diapers not only in packaging, but the actual diaper appears to be different. The diapers are now sold in a box for $13.49 and contains 96 diapers in Size 3. 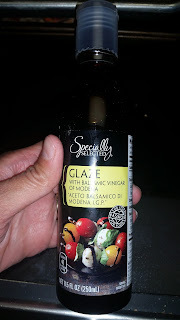 If you can still find this amazing glaze at your local Aldi, then you must have it. I have put this on shredded chicken sandwiches and grilled chicken sandwiches. I'm thinking it would be quite delicious over salmon as well! I caught it marked down to $1.50 and have not seen it around anymore, so good luck! Basket Sets - Teacher Alert! These stackable 3-basket sets are $4.99 at ALDI this week. Posting for all my teacher friends that are organizing classrooms and getting set up for the year. Black Grapes at ALDI are awesome-sauce! It's back to school time, not just for our kids but also for Carolyn and myself since we are both teachers. 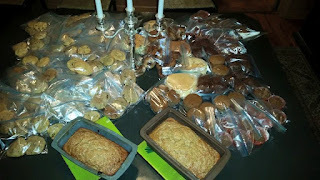 We have started this tradition of a back-to school bake-off night where we meet up and bake as many breakfast foods, lunch snacks and treats as we can. 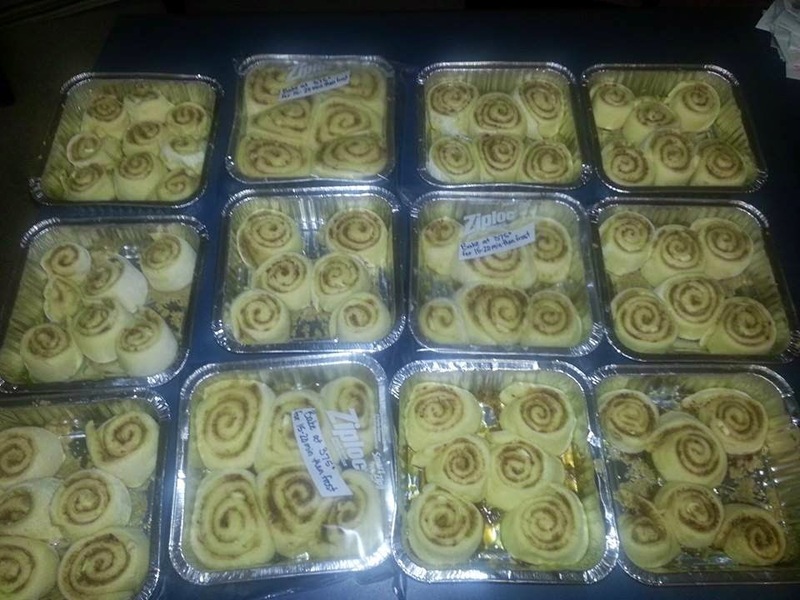 We portion them in baggies to fit in lunch boxes and it makes packing a lot healthier and easier. We also have a lot of fun drinking too much coffee late at night (thought about wine but we were worried the baking quality would suffer!) All of the recipes are ALDI-friendly (nothing they don't carry). I recently purchased the Kitchen Living Food Dehydrator for $19.99 at ALDI. There are a few left in stores, so worth snagging if this is your thing. 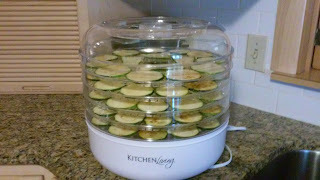 I have never dehydrated foods before, so I am by no means an expert on what makes a good food dehydrator. I have had quite a few zucchini, summer squash, and kale from my garden this year and last and I was looking for something to do with them other than freeze. I have done a few batches so far of zucchini chips (Yum! ), summer squash chips, and kale chips (I am not a fan. I really don't get what all the fuss is about?) I also just did a quick batch of drying italian parsley, basil, oregano, lemon thyme, and greek oregano. It's a fun new kitchen gadget to have and I am happy with my purchase. 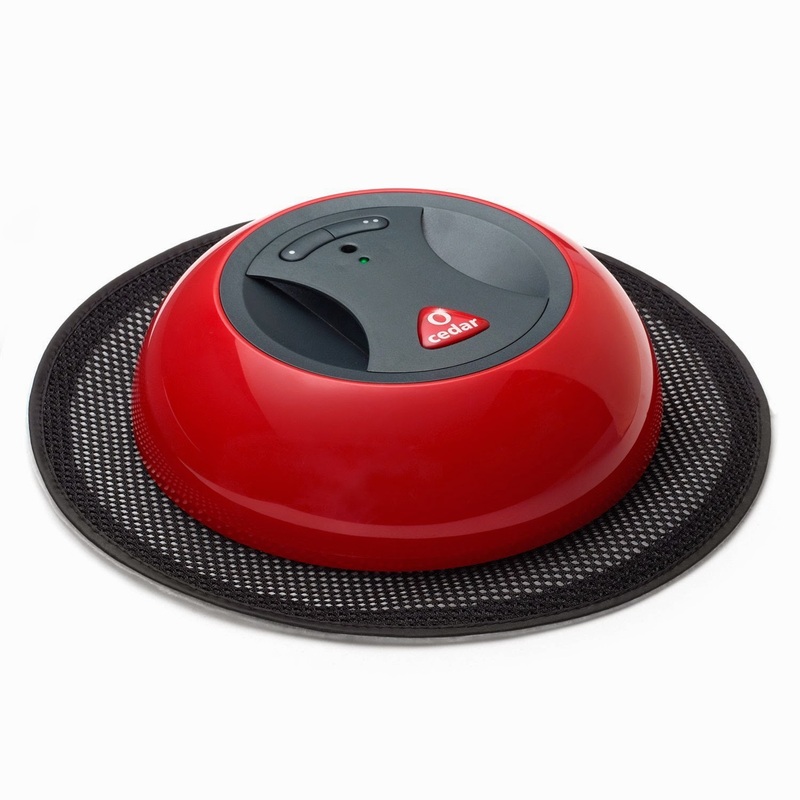 Price: Similar 5-tray, single setting, food dehydrators are priced $30.99 at Target and $40.99 at Walmart. Steal at ALDI for $19.99. 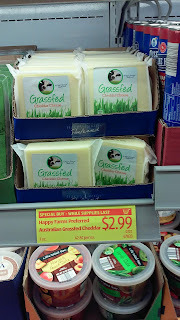 Grassfed Cheddar - Special Buy $2.99/ 7 oz. I just spotted this cheddar at ALDI - appreciating that is a grass fed, whole block and not shredded. Product of Australia? I would still love to see that organic block cheddar back - pretty please! 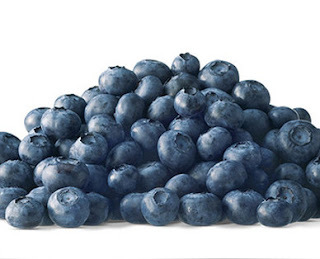 Blueberries are a steal for $.99/pt. at ALDI this week. This is a buy and freeze or can price! I freeze blueberries by rinsing, drying, and transferring into a small freezer bag. That makes it easy to grab a small handful to sprinkle in pancakes, smoothies, parfaits, and muffins. I bought 4 pints and canned 6 pints of blueberry jam that will go on PBJs this school year. (Not all ALDI ingredients, so I can't post the recipe) Now if ALDI could get strawberries down to $.99/pt. so I can make strawberry jam, my kids would be so happy! I recently picked up a new cast iron muffin pan at a specialty store and wanted to test it out. I am in love with cast iron cookware and have one skillet from ALDI which was a steal. Just as a fun test, I pulled out my other muffin pans to see how which one produced the best muffin. The batter is the blueberry muffin recipe I posted earlier except I subbed chocolate chips instead of blueberries and used half whole wheat flour and coconut oil instead of vegetable oil. I am such a fan of spinach salads over iceberg lettuce for the nutrition value alone. ALDI carries either the 8 oz. bag of baby spinach for $1.79 or the 5 oz. box of organic spinach for $2.49. 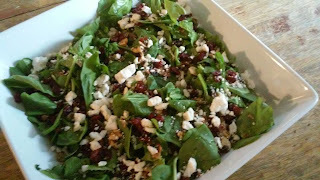 This recipe is for a large salad, but it can easily be made for just one serving. If you want to save some calories, skip candying the pecans. Tuscan Garden Poppyseed Dressing or make your own vinaigrette: 1/3 c. oil (I prefer olive) 1/3 c. white or red wine vinegar 1/3 c. sweet (either sugar, stevia, honey, or agave) 1 tsp - 1 T. herbs and spices to what fits your mood - for this salad I might use minced onion or a little garlic salt. *Shake it a leak-proof container and let chill in the fridge. I know I always post these things too late for people to put on their holiday menus, but this was our Independence Day breakfast today. 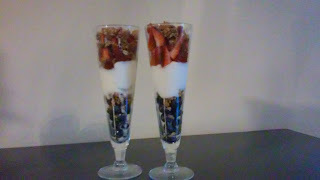 These would be awesome for a brunch or a healthy dessert and could be made ahead of time - just leave off the granola until you are ready to serve. I just discovered the SimplyNature Organic Yogurt at ALDI and it is awesome! My 6-year-old asks for it for dessert rather than ice cream! This is so super simple and is a go-to for BBQs and Potlucks. The recipe is sized for a potluck or party, but it is easy to adjust for a single serving. 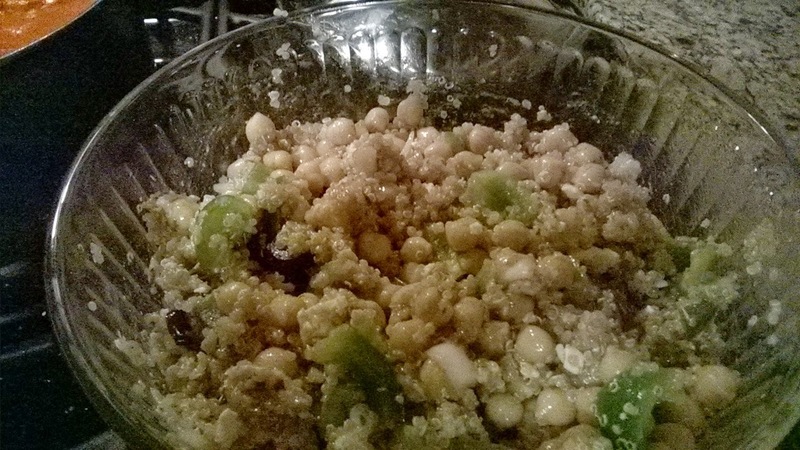 (will update picture when I make for this 4th - the one pictured is made with dried cranberries for the fruit since that's what I had on hand). Strawberries and blueberries are a decent deal right now at ALDI. met House or Raspberry Vinaigrettes would be nice if you don't want to make your own. This week I menu planned as I was doing my grocery shopping at Aldi. When I came to the produce section and noticed Eggplants were only 99 cents, I thought I would attempt eggplant parmesan. 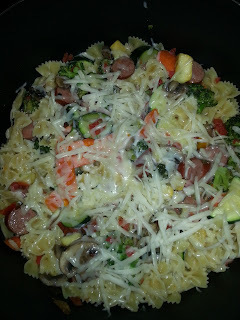 The first time I ever tried this dish was at Olive Garden about a month ago, and it was so good, and seemed simple enough to figure out so I gave it a shot and the family loved it! 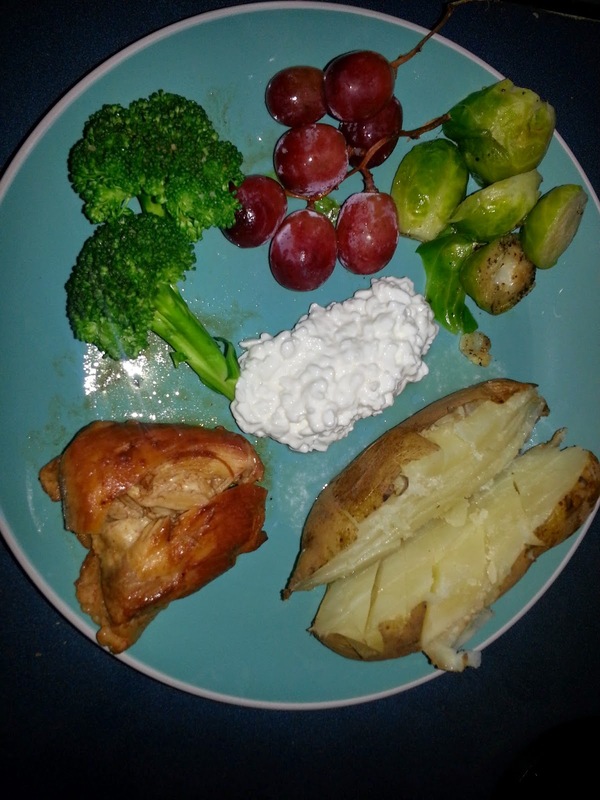 I served it with steamed broccoli, toasted bread, and a yogurt parfait for dessert! Well, summertime is officially here...yippee! Summertime means lots of cooking for my hungry kiddos and their friends, and it also means no work for me so I have more time to look for and create recipes! 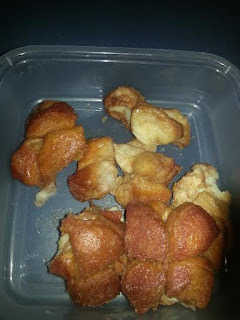 This monkey bread recipe I stumbled upon when I was on the search for a breakfast item for my son's slumber party, other than going and getting donuts or having to prepare something the night before. I have since made this two more times, once today for Father's Day, as my husband loved it the first time! However, I have yet to get a picture of it fresh out of the oven because it gets gobbled up, so imagine one of those beautifully sculpted monkey breads fresh out of the bunt pan! Our family is headed to North Carolina that won't and Tennessee to explore Great Smoky National Park for an eleven day vacation. While we are really excited, I am also challenged to stay on a budget. This is our third summer of road trips with two kids and I am by no means an expert, but I am going to share a few of my strategies for keeping a lid on vacation expenses. 1.Plan ahead: I may be a tad bit of an over-planner, but I always make my packing list, meal plan, and to-do list at least a month ahead of time. Doing so allows me to keep my sanity and see where I can save money before we even hit the road. 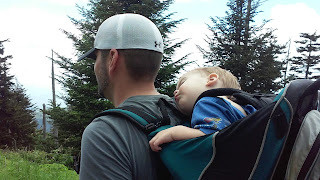 For example, I am borrowing a child carrier for hiking from a friend (Thanks Laura!) which is saving me atleast $100. 1. 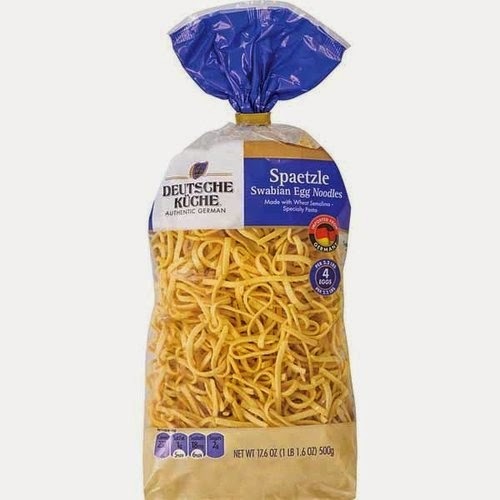 Egg Spaetzle $1.99 for 17.6 oz I use these spaetzle noodles to make Kaese Spaetzle (think of it as German or Austrian Mac and Cheese) which we eat as a main dish but most would probably serve it as a side dish. I am still perfecting this recipe but I will post once it get it right. 2. Red Cabbage with Apples $1.69 for 24 oz. I make this from scratch around Christmas time when my husband gets in his "let's celebrate our heritage" mood. This jarred variety is a great was to get our red cabbage fix when I don't want to go through the effort of making it from scratch. 3. Spinach and Ricotta Strudel 10.6 oz This and the artichoke and cheese strudel are delicious, but only serve two as a main entree. I really wanted to like the new boxed organic mac and cheese but I was a little disappointed. It is definitely comparable to Annie's boxed mac and cheese, but I think I am spoiled on my own homemade mac and cheese . My family also prefers the "Velveeta-style" sauce packets in Shells and Cheese over the dry mix packets. So ALDI, if you want to roll out a box of organic plain elbow mac noodles or an organic shells and cheese with the liquid sauce packet, you would have my vote! In the mean time Annie's fans will be thrilled with this affordable box priced at $1.29. 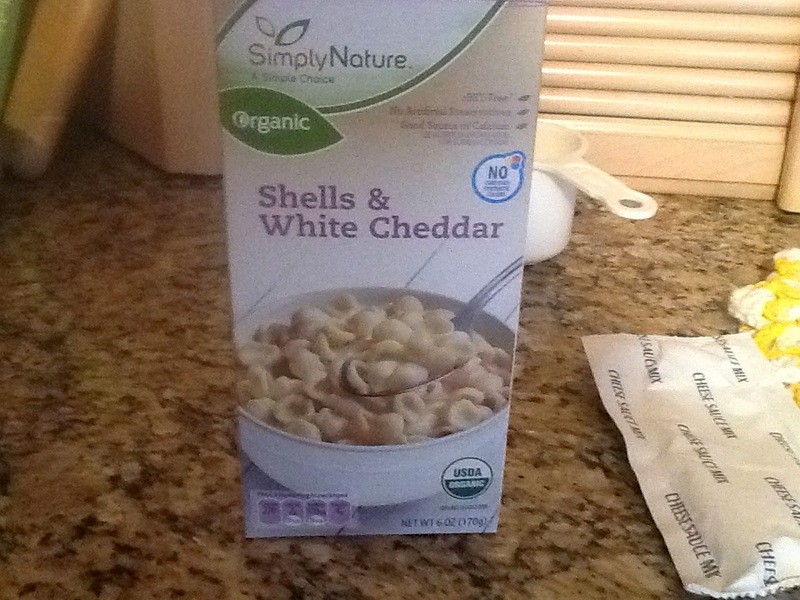 Ingredients listed: organic pasta (organic wheat semolina), organic cheddar cheese (organic cultured pasteurized milk, salt, enzymes), organic buttermilk, organic nonfat milk, salt, sodium phosphate, and silicon dioxide. ALDI rolled out a new meat line advertised as "Never Any!" I gave the bacon a try and was happy with the quality. I followed the oven directions for cooking so I wouldn't have to clean bacon splatter off my stove top. I also saved the drippings to cook hash browns and eggs. Not exactly a low fat breakfast but it was delicious! Priced at $4.29/12 oz. 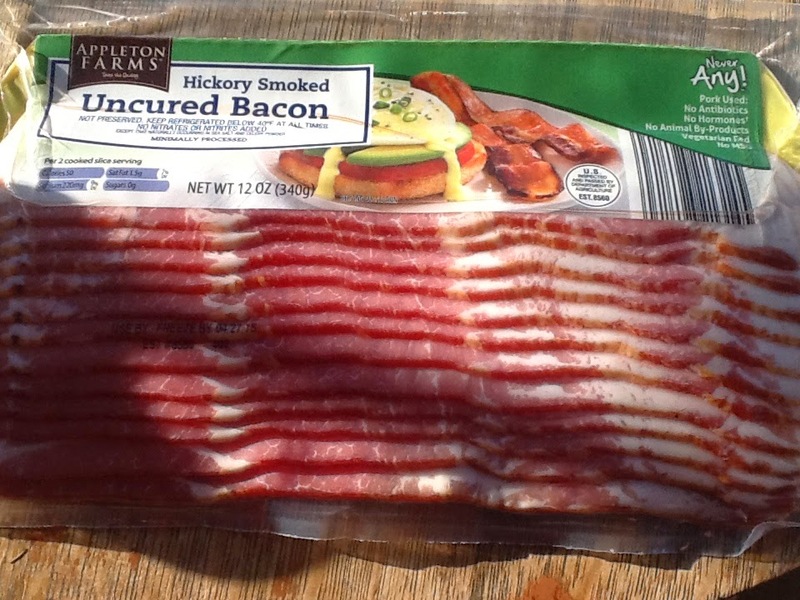 it is cheaper than the Kroger Simple Truth bacon - good job ALDI! The package reads: No Antibiotics, No Hormones, No Animal-By-Products, Vegetarian Fed, and No MSG. No nitrates or nitrites added -Except that naturally occurring in sea salt and celery powder. My mom always made this growing up and it was one of my favorites. My sister even had her recipe printed onto fabric and made into a tea towel one Christmas. Directions 1. Heat oil in a skillet. Saute bell pepper, onion, celery, and garlic for five minutes. 2. Remove from heat and add tomato paste and water. 3. Stir and return to heat. Add red pepper, parsley, sugar, ans salt. Cover and simmer for 25 minutes stirring occasionally. 4. 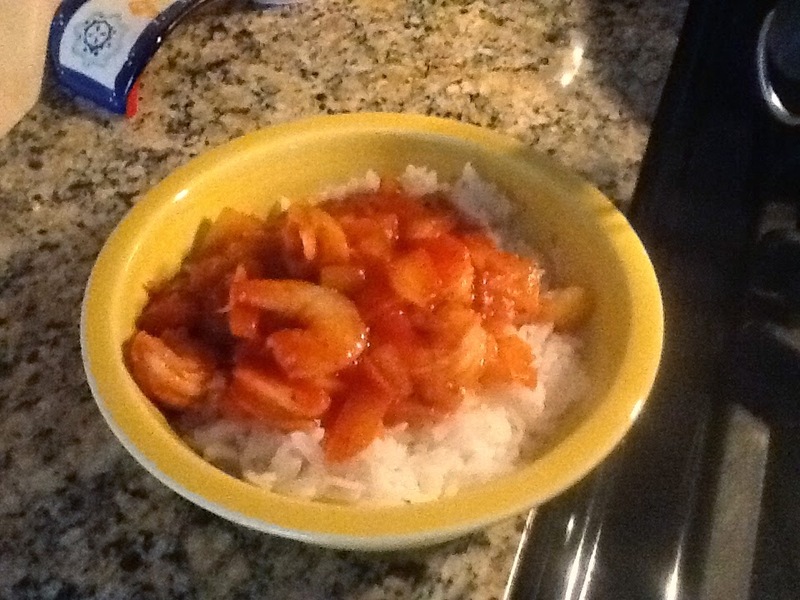 Add shrimp and cook for 5 minutes more. 5. Serve over prepared rice. This week at ALDI cream cheese is $.89 per block and butter is $1.89/lb. 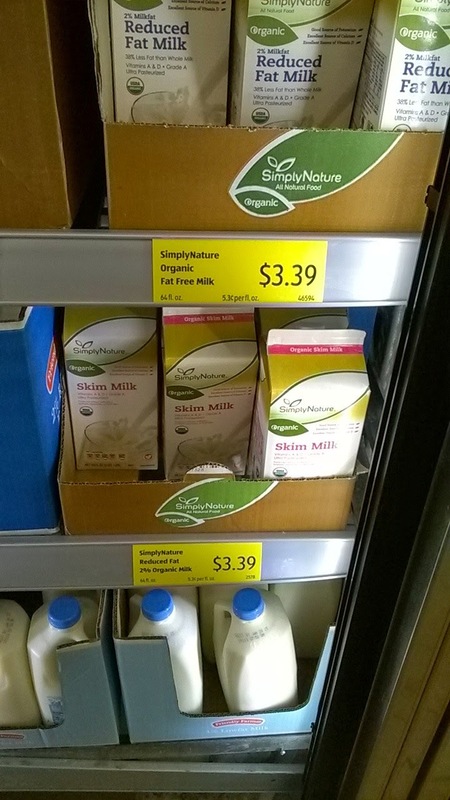 Both of these items freeze well, so buy ahead and save some money down the road! Directions for sauce Stir all ingredients together until mixed well. I honestly don't measure exact and sometimes sprinkle in a little more or less of each ingredient. This makes enough for at least three pizzas, so I am able to freeze some to have on hand. On a night when I actually have time to cook, my family's plate looks like this. 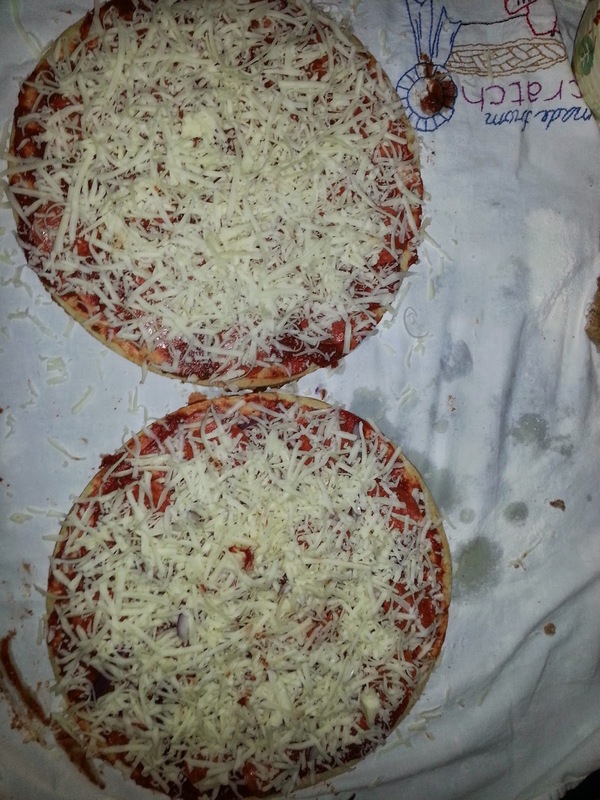 Remember this photo when you see the pizza plate! Katie chose to laugh at my variety plate, "It looks like you went to a buffet!" Thanks, Katie! 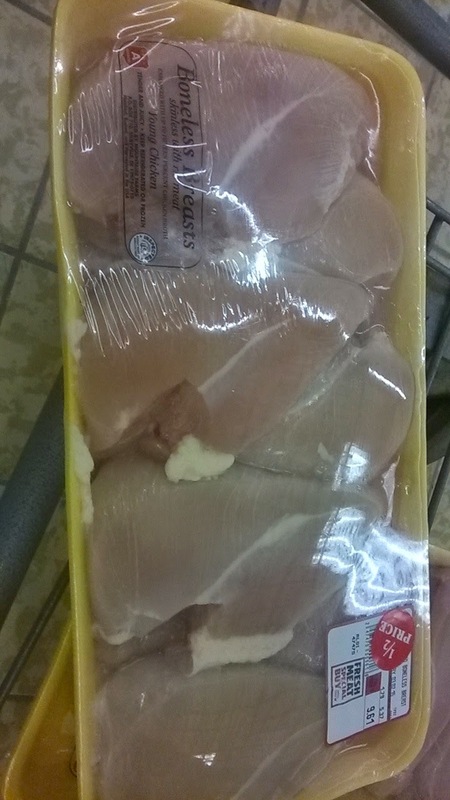 Ingredients 5 Boneless, skinless chicken breasts, thighs, etc. I've even made with bone in, skin on. 3/4 can Aldi root beer 1/2 bottle barbecue sauce (about 1 cup) 1 tsp brown sugar (for a little sweeter taste, but not necessary) Directions 1. Place chicken in crock pot. 2. Pour barbecue sauce over chicken. 3. Pour root beer over the sauce. 4. Sprinkle in brown sugar. 5. Cover and cook on low all day or high for 4-5 hours. I put this in the slow cooker at 12:00 and it was ready at 5:00 being cooked on high and the thighs were frozen. Freezer to Crockpot: Add all ingredients to gallon freezer bag. Press out air, seal, and freeze for up to 3 months. The day of cooking empty frozen contents of bag into Crockpot and cook on low all day. I got dirt cheap chicken! I heard on Facebook that our ALDI got in a pallet of chicken breast that was getting close to its "sell by" date. All these trays were marked half off the sale price, which made it $.90/lb. I went a little overboard and bought over 30 lbs of chicken. I repackaged them into 2 breast packs for the freezer, except for one package that I immediately made into Oven-Baked Chicken Nuggets and froze hoping to avoid our typical bag of processed chicken nuggets for awhile. I am also going to make Naked Wings as a substitute for my husband's usual freezer boneless wings. I have always killed yeast when it wasn't inside my bread machine. These went great for a first attempt. Next time I wouldn't squish nearly so many into one pan so they would have more room to expand. I didn't get the picture taken without half already being eaten. I am reprinting the ALDI recipe here with my notes- hope they won't mind. ALDI now has USDA Organic Ketchup! Ingredients list looks pretty decent compared to most ketchup. Good job ALDI! Queso Dip - without processed cheese! This is a family classic that was my dad used often when he was in charge of the dinner plans. 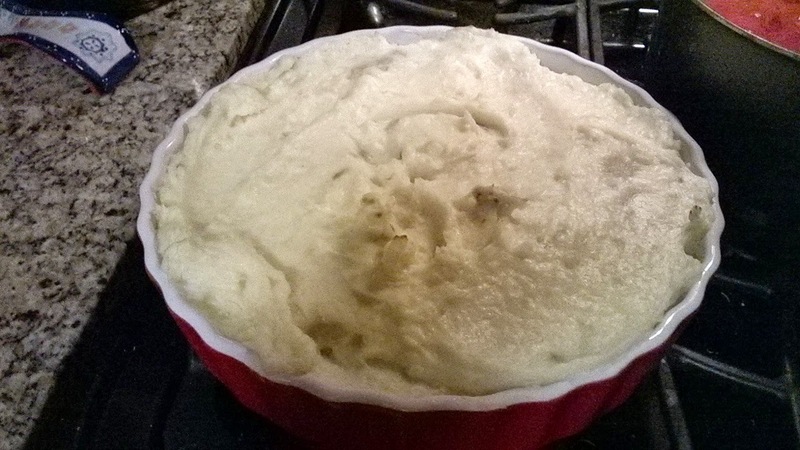 There are a lot of variations of Shepherd's Pie out there, but this one is my favorite. We always put an initial or shape in the top of the mashed potatoes just to make someone's day. 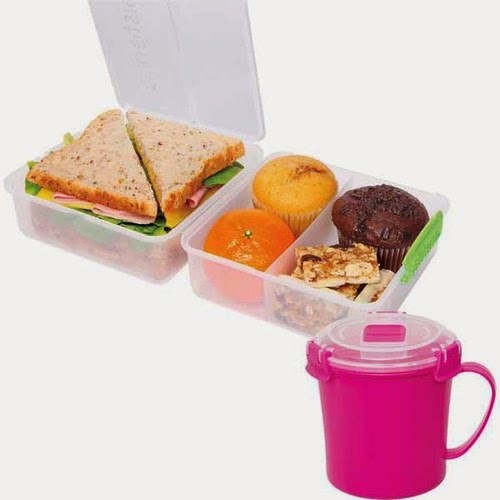 Sistema Lunch Cubes are back! These lunch cubes are back at ALDI and are priced at $3.99! These save me a small fortune in sandwich and snack baggies with sending my kid's lunch to school nearly everyday. They are closer to $6 at other stores. *Have some more ideas? Please post in the comments! I purchased one of these bathmats at ALDI last time they were available. I have been very happy with it overall. It is still cushy, it cleans up well in the washing machine, and does a great job at containing drips and sloshes from my boys' bathtime. I am planning on purchasing another for our second bath. My complaint/tip is that water gets trapped underneath and then has nowhere to go. (This only seems to happen when my boys have been having a bath. Hmmmm....) I have learned to flip the mat over the side of the bathtub to dry the backside of the mat and the floor. 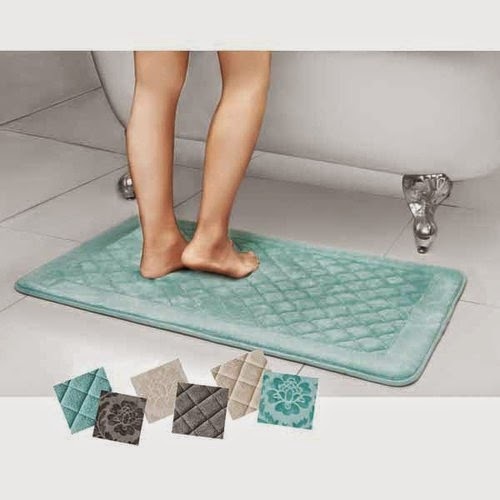 Similar bathmats are priced at Target $14.99 for the 17"x 24" and $19.99 for 20" x 34" so at $5.99 and $9.99 this week, these are a steal! I purchased this juicer from Aldi approximately two years ago. I was planning on doing a juicing detox (spare me the criticisms please) and I wasn't ready to purchase some of the more expensive juicers that can run so much more. 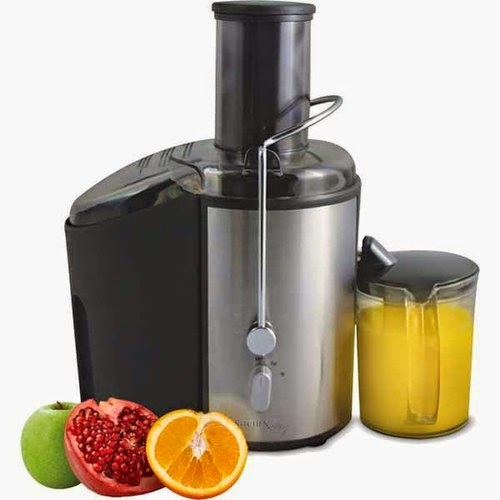 I felt this was a great buy if you aren't sure if juicing is going to be a long-term interest. I am sure you can find more bells and whistles on the pricier juicers, but this has suited me perfectly for the times that I use it. I have also loaned it out to friends that are interested in juicing. Everything is still working like new, but I haven't put a lot of mileage on it. My one complaint is that it can be difficult to clean as some of the parts are hand-wash only. I think this is probably true of most juicers. Overall, a great buy at $34.99!